DENVER — Colorado Attorney General John Suthers announced today that his office, in conjunction with the Broomfield Police Department, have arrested a Lakewood man suspected of stealing tens of thousands of dollars worth of items from numerous individuals and golf courses along the Front Range. 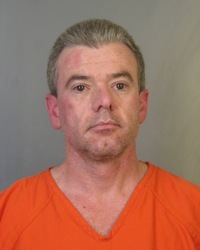 According to the 20-count indictment, Marc Pierre Friel (DOB: 7/4/1966) stole more than $93,000 worth of items from individuals, businesses and golf courses located in Arvada, Boulder, Brighton, Broomfield, Erie, Golden, Lakewood, Longmont and Westminster between November 2009 and June 2010. Friel is suspected of stealing items that included golf clubs, power tools, gasoline, computer components and a pickup truck. In each instance, Friel is suspected of disabling or tampering with security systems or other security measures to gain access to the golf courses and the items he stole. Detective Aron Armstrong of the Broomfield Police Department led the investigation, dubbed “Operation Caddy Shack,” and worked with the Office of the Attorney General to secure the indictment. Prosecutors from the Office of the Attorney General and the Adams County District Attorney’s Office will present the case against Friel in Broomfield County District Court. Site contents copyright © 2019 Recorder Online	except as noted. All rights reserved. | 85 queries in 1.113 seconds.